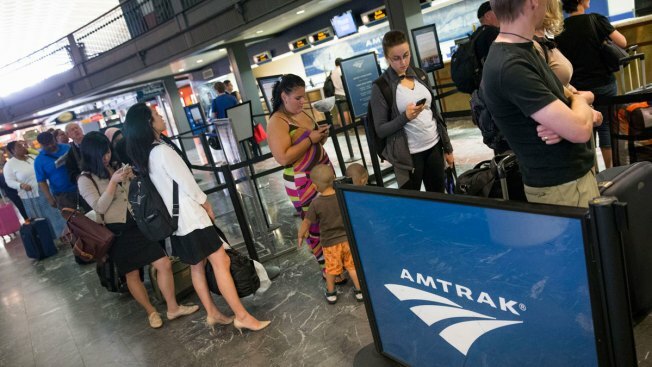 Amtrak passengers are facing delays along the Northeast Corridor after severe thunderstorms downed trees and power lines along the tracks. Trains are running late between Philadelphia and D.C. Wednesday morning. Keystone Service between Philadelphia and Harrisburg, Pennsylvania, is temporarily suspended. Amtrak says crews are assessing the damage and making repairs to restore service.